Chancellor Philip DiStefano will host the annual Faculty Awards Celebration on Wednesday, Nov. 28. Mark your calendar for the campuswide event, which is held in collaboration with the Provost's Office and Faculty Affairs to celebrate faculty's external academic achievements. Each of the awards, honors or recognitions are considered prestigious or notable in the recipient's academic field. 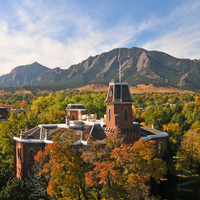 We welcome you to check out the list of this year's honorees featured in CU Boulder Today. Following the recognition program, an hors d'oeuvres reception will allow our campus community an opportunity to further celebrate our faculty's accomplishments. RSVPs are requested by the end of the day Wednesday, Nov. 21, but campus community members are welcome to attend even if they have not registered in advance.